Bread. Containing but a few simple ingredients, this basic food feeds the world physically and spiritually. 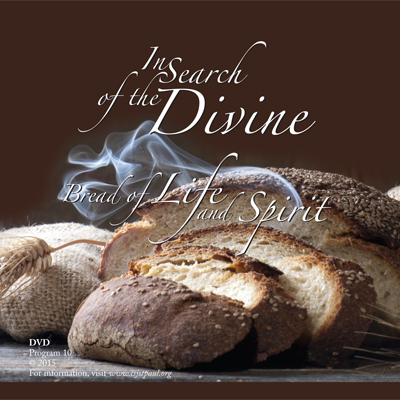 In this 10th edition of In Search of the Divine, Pastor Bryce Johnson talks about his community’s bread oven; Rabbi Alan Shavit-Lonstein, describes Jewish traditions involving Challah (used for Shabbat) and Matzah; Sister Mary Francis, VHM, bakes bread; and Cathy Rajtar describes the traditional Polish Christmas Eve tradition of sharing Oplatek. The following are brief clips from episode #10 of In Search of the Divine.